Ringling Bros. Barnum and Bailey Circus. 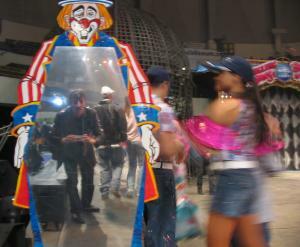 If you get there early, you can wander around the show floor where they go for a carnival/street fair effect. Note Globe of Death at rear.